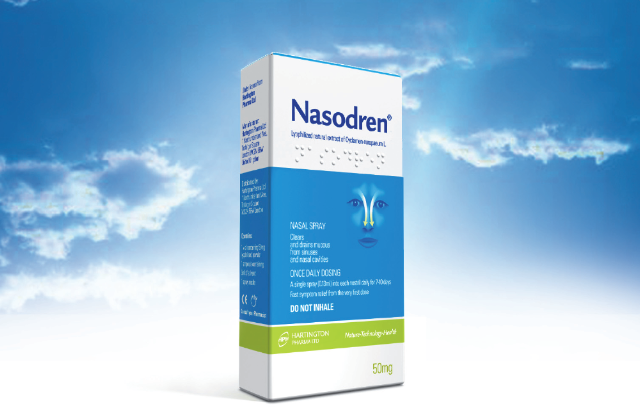 Nasodren for Sinusitis Treatment: Can wet hair be a cause of sinus headache? Can wet hair be a cause of sinus headache? Yes, wet hair, especially in cold weather, may cause a sinus headache. You may wonder how wet hair can lead to the headache. Medical community has observed that wet hair not only become a cause of sinus headache but also trigger posterior eye pain in cold weather. Abullah Kaya and Halil Caliskan, medical professionals working for Department of Ophthalmology, GATA Haydarpasa Training Hospital in Istanbul, Turkey, have suggested a mechanism justifying the observations. Their research report “Does wet hair in cold weather cause sinus headache and posterior eye pain? A possible mechanism through selective brain cooling system” published in December 2012 issue of Medical Hypotheses features the suggested hypothesis. Their hypothesis revolves around selective brain cooling (S.B.C.) mechanism that may cause the pain and headache if hairs are left wet in cold weather. What is S.B.C. and what does it do? The mechanism involves upper respiratory system consisting of paranasal sinuses and nose and skin of the head. The cooling protects the brain from abnormally high body temperature conditions called hyperthermia. From the mucous membranes of paranasal sinuses and nose and the skin of head, cool venous blood flows into intracranial dural sinuses, cooling the brain. However, an exposure to hypothermia (abnormally low body temperature) conditions such as wet hair in the cold weather cools the brain excessively. The resulting closure of sinus ostia may lead to mucus accumulation and thus decrease air supply within the sinuses. Vasomotor alterations may occur to curtail loss of heat. The authors’ hypothesis states that the changes within the sinuses control brain temperature when head skin is exposed to hypothermia. An extremely thin bony layer separates the subarachnoid space and the posterior ethmoid air sinus. Slim bony plates create a boundary between cavernous sinuses and carotid artery and sphenoidal sinuses. The layer and plates directly aid in brain cooling process. The sphenoidal and posterior ethmoid sinuses play an important role in S.B.C. and therefore the changes may affect these sinuses more than any other paranasal sinuses. These conditions may cause sinus headache and the eye pain. The symptoms may be diagnosed as sinusitis, which is incorrect. In fine, excessive cooling of head skin due to wet hair in cold weather may become a cause of sinus headache that is confused with sinusitis. Does inhaling steam cause injury and / or death?